Featuring our latest in fresh design and production, The Bunker Tee is Reckless to the bone. 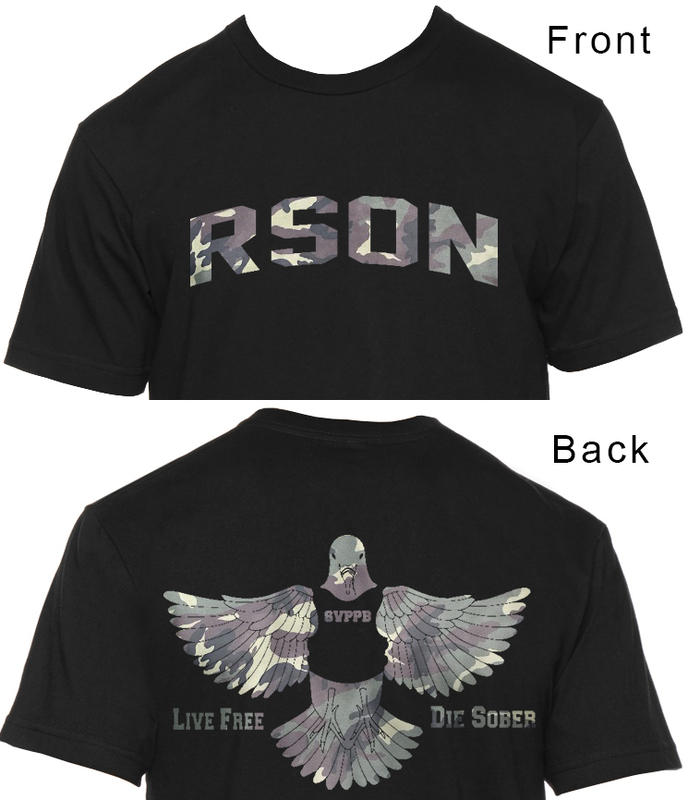 RSON across the front with The Reckless Dove and Motto “Live Free. Die Sober.” On the back. All in Camo and all on American Apparel. This shirt is insanely soft and comfortable as well as tough and durable.